BitTorrent Sync, a p2p file syncing service, now has been updated to version 1.4 with new simplified UI and other new features. 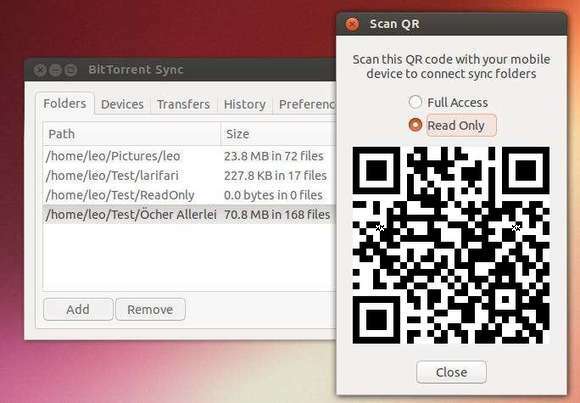 BitTorrent Sync is a simple tool that applies p2p protocol for direct live folder sync with maximum security, network speed and storage capacity. 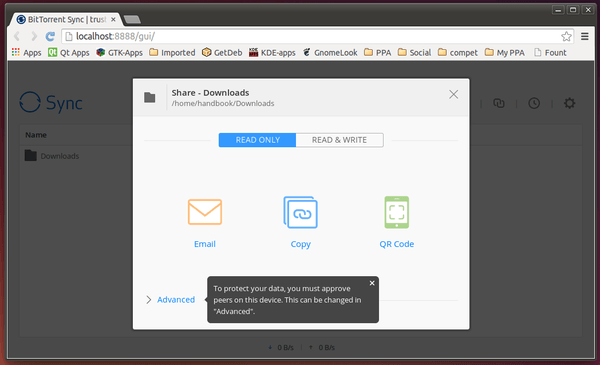 It has native versions for Mac, Windows and Linux, as well as native NAS integration. UI was fully revised and now looks similar on all platforms. Also, UI was simplified significantly to make Sync use faster, convenient, and easy to use. 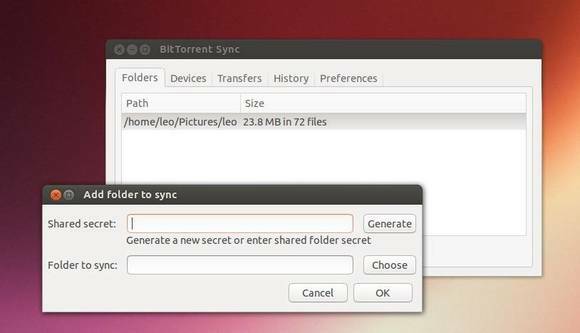 Right-clicking on the folder in Explorer / Finder exposes “Share with BitTorrent Sync” item, which ads the folder to Sync and automatically generates a Key (Secret). Sync tracks if synced folders move and automatically adjusts paths to keep the folder synced. Improves data transfer speed, CPU consumption, peer discovery. The official packages are available for download at the link below, check your OS type (32-bit or 64-bit), download the appropriate package under the Linux section, and finally run the executable from the extracted folder. 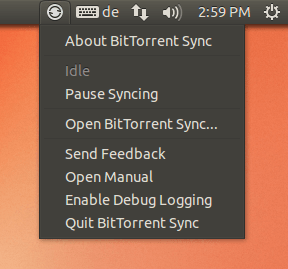 If you want an easy way to deploy BitTorrent Sync on Ubuntu, there’s a desktop GUI with Unity indicator created by community. At the moment of writing this tutorial, it is at version 1.3.1. The latest 1.4 should be available soon. THE SOFTWARE AND THE PACKAGES BELOW ARE UNOFFICIAL AND NOT THE WORK OF BITTORRENT® INC. Above commands work for Ubuntu 14.10, Ubuntu 14.04, and Ubuntu 12.04. Once you installed it, open the gui from Unity Dash and enjoy! I had a trouble. My PC with Win XP SP2. That is the reason why when I install bittorrent sync not yet finished. It need the IE 9 or newer. But I can not find like that. Please show me the way how to use bittorrent sync with window xp sp2. IE9 is not supported on windows XP, update your windows installation to Vista, or 7.